I was just kvetching on Facebook about not having a whole lot of time to find new bands I could like, and then I smacked my head and went, duh, I have tens of thousands of people to recommend music to me. So: Hey what newer bands are you listening to these days? Share a link, and explain why they work for you. Caveat: By “newer band” I mean bands/artists who either formed or started recording in the last five years or (if you can’t manage that) who formed/started in the last decade but have only become well-known in the last two or three years. I make this note because if I don’t at least some of you will come at me with your favorite band from when you went to high school in the 70s/80s/90s/whenever. No. I assure you if the band formed before 2003 I already know about it. Second caveat: Mention as many bands as you like, but maybe put in one band per post, because if you put in too many links in a single post it’ll get booted into my moderation queue. To get you started: Birdy, covering “The District Sleeps Alone Tonight” by The Postal Service. Because it’s pretty. Enjoy. The Hugo nominations were announced over the weekend, but inasmuch as the weekends are when people aren’t on the Internet, especially when there’s a major religious holiday in there, I thought I’d make mention of it again for those of you just now straggling back into the Webs. So: Hey! The Hugo nominations have been announced! Here’s the entire Hugo nomination slate. I’m on it. Here’s my reaction to being on the slate. 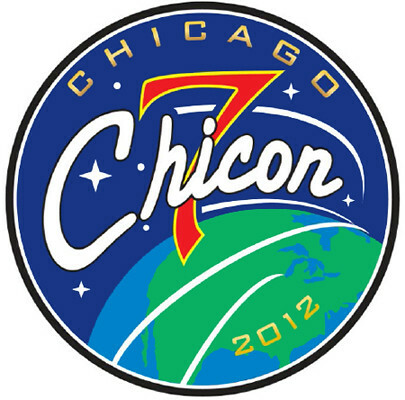 Here’s the Web site to Chicon 7, this year’s Worldcon, where the Hugo Awards will be given out. You totally want to go this year, in no small part because I will be Toastmaster and I will also be hosting the Hugo Awards ceremony itself. There, now you’re all caught up. Continue on with the rest of your Monday.